US equity indexes closed broadly higher, sp +20pts at 2581. The two leaders - Trans/R2K, settled higher by 0.5% and 0.7% respectively. 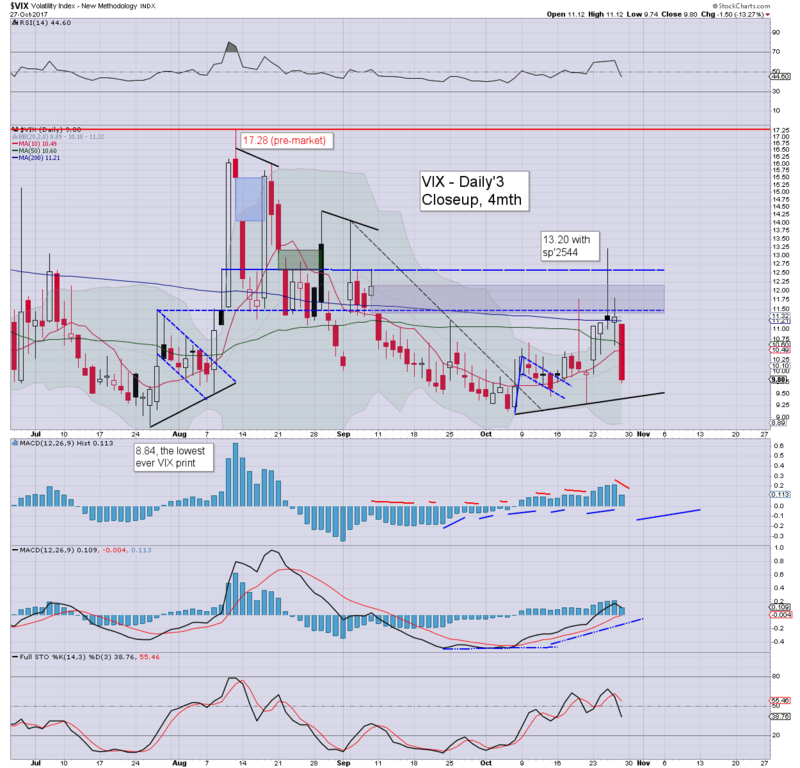 VIX settled -13.3% at 9.80. Near term outlook offers basic downside to around sp'2560. Things only get interesting with a break of the Wed' low of 2544. US equities opened moderately higher, with the sp'500 and Nasdaq comp' breaking new historic highs. 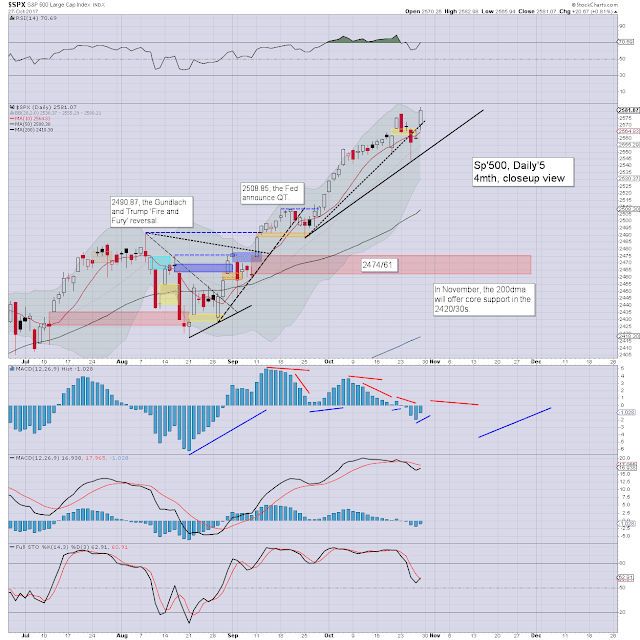 The new highs have fully negated the technical breaks seen on Wednesday. Equity bears now need a break of the Wed' low of 2544 to have any renewed hope of a 4-5% cooling wave. 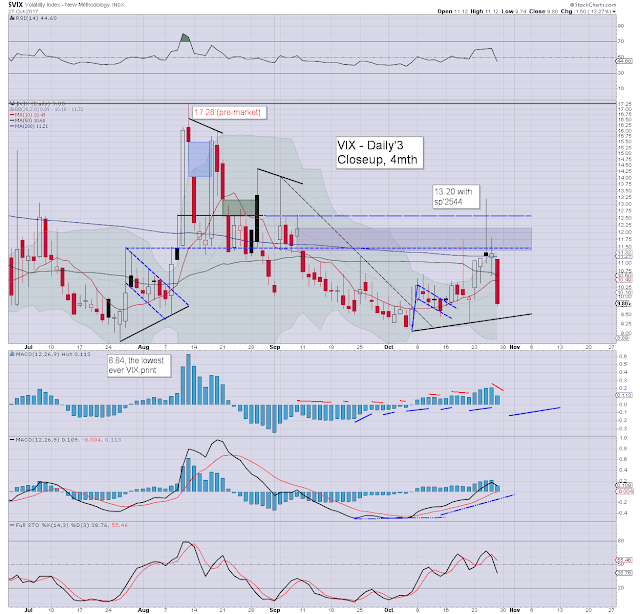 With equities broadly higher, market volatility was ground lower across the day, with the VIX settling in the upper 9s. Near term outlook offers a basic retrace to around sp'2560 early next week, but things only get interesting with a daily close <2544. With Catalonia declaring independence, the Spanish market ended the week on a bearish note, settling the day -1.4% at 10197, currently making for a net monthly decline of -1.8%. The intra-month break <10k was VERY bearish, however there was a rather strong rebound. Current price structure is actually offering a bull flag. The remaining two trading days of the month will be very important. 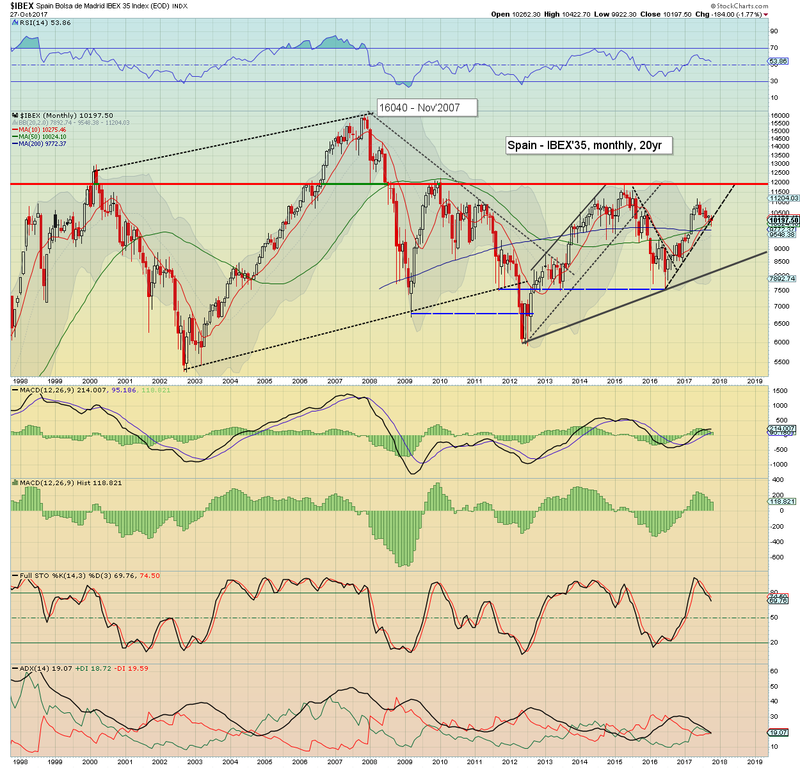 The 10k threshold - which also happens to be core m/t bullish trend, is clearly critical for the Spanish bulls to hold. re: Catalan/Spain. For now, its still mostly a lot of talk. Clearly, the Spanish govt' are NOT going to just let Catalan go. They'll send the tanks in... if necessary. The weekend post will appear Sat'12pm EST.